This Scholarship is not available for 2019 applicants. Here at Casavvy we have a passion for helping people get the most out of the money they save and spend. We do this through product reviews and personal finance education, so that everyone can understand the financial options they have and maximize them as much as possible. Education establishes the fundamentals we need to make smart and purposeful decisions. And what better way then to give back to college students and make the cost of higher education a little less than what it should be. This is why we have established the annual “Cash Savvy” college scholarship. Just like we have a passion for personal finance, what better way to fuel a students passions then to help lower the cost of a college education and help a college student reach the goals that they want. This year we will be offering a $1,000 college scholarship, to an undergraduate or graduate student, who can sent themselves apart by completing an essay defining what the word “success” means to them. Everyone has a different definition for the word “success” so there is no minimum or maximum number of words required. Just let us know a little about yourself, what school you are attending and what you are studying, how you will use the money, and what “success” means to you. Here at Casavvy we measure success one person at a time in helping them understand and get the most out of their finances. This drives our business to become better everyday and allow us to expand our reach and help out in ways that we could’t before, such as this scholarship. – Must be an undergrad or graduate college student in the U.S.
– Complete an essay, as short or as long as you want, telling us what the word “success” means to you and how you will use the funds to advance your education. To be entered you must also “Like” our Facebook page and subscribe to our “Cash Savvy” Newsletter below. We are sure that you will find some great financial tips and products in the future by doing so. Deadline: Saturday, December 1st 2018 and the winner will be chosen on Wednesday December 12th, 2018 by phone, email, and on our Facebook Page (if you like). Note: Please keep in mind that due to the number of applications we will receive we will not be able to respond with confirmation that we obtained your entry. We will only respond if you are the winner. Getting your personal finances in order while in college is one of the best things that you can do for your financial future. By establishing an excellent credit score while in college you will have any financial options that you may need after graduation available to you. This could be a mortgage, a loan for a new car, or even a loan for a new business. A student credit card, such as the is a great way to get your credit history starting off right. Or you can utilize our partnered CardMatch Tool to find even more student credit card options. If a regular or a student credit card seem to be out of your reach then look into secured credit cards. These require you to put down a deposit upfront, that you get back when you close your account if it is still in good standing, and allows you to utilize it to build up your credit score. A great option is the Open Sky Secured Visa Card. Make sure to always pay your credit card bill on time, and in full to avoid interest, along with staying well below your credit limit, and you will be on your way to an excellent credit score by the time you graduate. 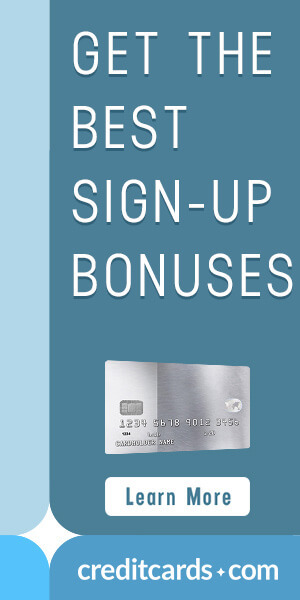 ← Who Doesn’t Like Credit Card Rewards?